This 100g pack of glitter grout additive has been chosen especially by JULIEN MACDONALD to add a sparkle finish to tiling projects. Available in Black, Black Holographic, Silver, Silver Holographic and White colours, simply add this glitter grout pack to 1kg of regular cement or epoxy based grout for a dazzling end-result. 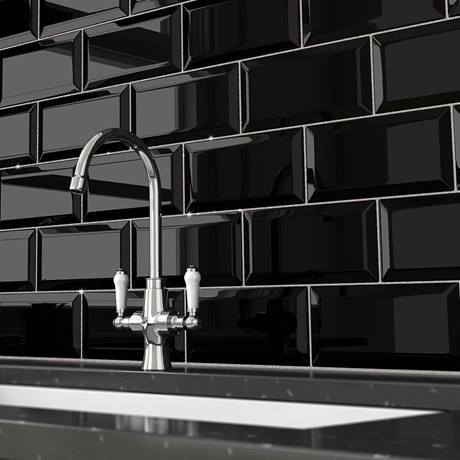 Manufactured by glitter specialists Hemway - this special effect grout finish is an easy way of adding a luxury finish to your bathroom or kitchen project.